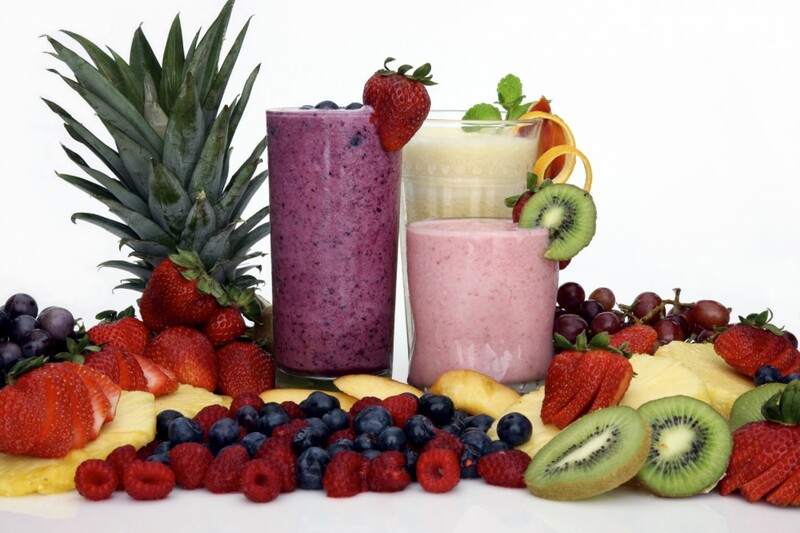 Don't let complicated ingredients put you off getting involved in smoothie making!! Here are three recipes which use only 3 ingredients (with some ideas about extras if you want to jazz it up even more). You’ve always got to get a green one in there! This isn’t too complicated, and isn’t as sweet as the others but we like it and it really does always give us a boost and keep us full as it is very low in natural sugars. This uses water as a base but you could also use coconut water. Optional extras: chia seeds, protein powder, spirulina or wheatgrass powder (if you really want it green and aren’t too screamish about the taste), banana or mango for a bit of added sweetness. This one will make you feel like you should be on a beach…perfect for those with a sweet tooth who aren't as keen on green drinks. This uses water as a base as the yoghurt makes it creamy. Optional extras: protein powder, maca powder (for an energy boost), and a sprinkling of turmeric for anti-inflammatory properties which are set off by the enzymes in the pineapple (this info is verified by Neil’s Yard). Optional extras: if you like it extra sweet then maple syrup goes really well, nut butter adds extra flavour and can make it more ‘nutella’ like, cinnamon goes well especially if you’re heating it up, and as we’ve mentioned in all of the above…protein powder goes well in this.